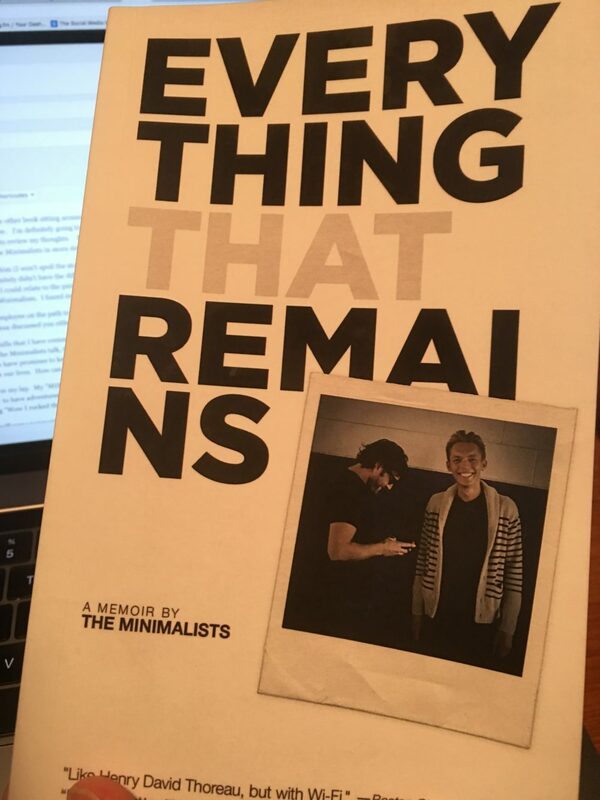 Continuing along this week’s theme of Minimalism (See my review on Minimalism from earlier this week), I decided to read the other book sitting around my dear friend Carla’s house – a signed copy of Everything That Remains – a memoir by The Mimimalists. I’m pretty much a fan girl now. I’m definitely going to get my own copy – albeit it will be on my kindle. I find that taking notes is a little simpler and then I can just pull them all up at one time to review my thoughts. But I digress. This book, I thought was even better than Minimalism in a few ways because it was the story of how they got to be Minimalists in more detail. The heart gripping story of how Joshua’s Mom had struggled to raise him (I won’t spoil the story) and then other life impacting events were extraordinarily moving. I found myself relating so much to what he wrote, even though I definitely didn’t have the difficult childhood he did, I could relate to what he felt and how he became an over achiever because of the challenges of his childhood. I could relate to the pain of losing a parent in a tragic way. I could relate to the misplaced values. It hit home a little more than just reading the more general Minimalism. I found myself questioning what is truly important and my future much more. As a writer, I could relate to the transition he made from full time employee on the path to greatness to a simple lifestyle in a one bedroom apartment but having the freedom to live (not work) having a “Mission.” I loved the way Joshua discussed you either have a job, a career, or a MISSION. Man did that make me think! While my situation is different and I have certain…ahem…college bills that I have committed to my kids to pay for, I can see transitioning out of corporate earth to more of a freedom lifestyle in the not-so-distant future. 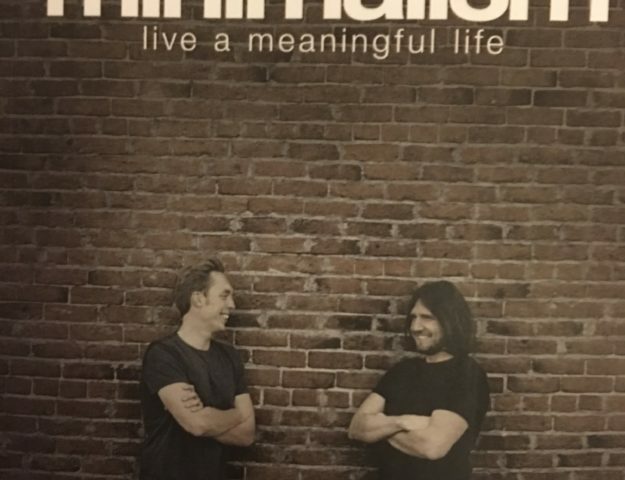 The way the Minimalists talk, they never come off preachy or holier than thou which is nice, because let’s face it, we can’t all drastically change our lives so quickly when we have promises to keep…(and miles to go before we sleep.)* . But what we CAN do is think about the next step and the next…and how ultimately do we want to live our lives. How can we inspire others to their own bliss? Read this book folks. If nothing else, it will make you ask yourself some poignant questions. It just may change your life forever. But no matter where you fall in the spectrum, I know it will cause a stirring somewhere in your soul to want to reach for something deeper in your life. We only have so many circles around the sun and as my Grandmother keeps saying at 93 “just give me five more years.” Its never enough time when you have people to love and inspire. Make it the best it can be and you will find “Everything That Remains” is all the good stuff.